Ageless Derma is a skincare product aimed to provide effective products that will help clients restore and maintain their youthful appearances. 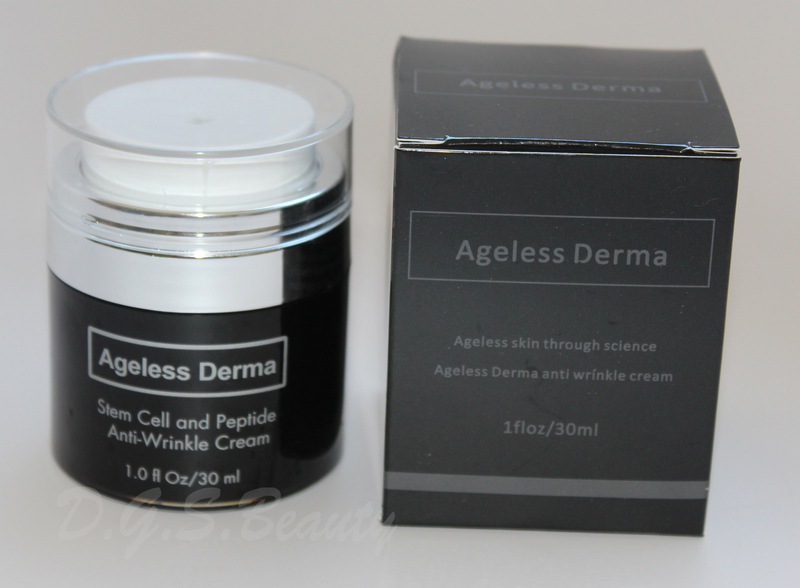 I was given the opportunity to review the Stem Cell and Peptide Anti-Wrinkle Cream. As we all know there are numerous skincare products in the market that claims to help your skin. One thing I like about Ageless Derma is the amount of research they do to ensure we are getting the best product for our skin. The pump is VERY different from any other skincare products I have used. But I liked it. With just two light pumps, I get enough formula I need to put on my face. As you can see, it is a while formula. The consistency is very smooth and easy to apply and blend into your skin. There is a very light scent that I do not notice most of the time. Directions: Lift off cap, gently press down on white disc to pump. Apply a small amount of Ageless Derma Anti wrinkle cream to freshly cleaned face mostly on crow feet, between the brows and forehead. Apply at night and morning. Overall Review: After a month of testing, I have noticed a subtle reduction in my wrinkles especially on my forehead, between my brows and crow feet as the directions suggested. I have always hated the wrinkles on my forehead so I am very pleased. I can guarantee that I will continue using this product in hopes that it work its magic on the remaining wrinkles. Even if you do not have any wrinkles, I think this product would be great just to maintain your youthful skin. Also, I want to add that this product has left me with much softer and healthier looking skin. ***Don’t forget to enter my giveaway for this product here. Good luck!! Interesting packaging.. WOuld love to try this one ..
I’m glad you say that because I have a giveaway that will go live for this tomorrow! It’s only open to US residents though..
OMG! Thanks for informing me. I would love to enter then..